According to national newspaper ‘The Telegraph’ that might not be the only thing that they will break this window with West Ham looking to match or slightly increase on Giroud’s £120,000 a week contract at Arsenal, this would see Giroud become West Ham’s highest paid player overtaking Dimitri Payet (£125,000). However, any deal for Giroud will only be struck if Arsenal are successful in their pursuit of Alexandre Lacazette from Olympique Lyonnais for a reported fee worth £49 million (€55.7 million). With Lyon recently signing Bertrand Traoré from Chelsea in a deal worth £8.8 million after recently coming off a good season with Ajax picking up 13 goals and 6 assists last season playing as a versatile player playing in multiple positions. West Ham however, will have competition from Lyon for Giroud’s signature if Lacazette is set to leave. 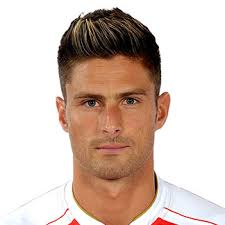 Giroud however, confirmed to French television show Telefoot that he is not interested in returning to Ligue 1. “I am not insensitive to the approaches of the French clubs and especially that of Marseille… But my future is in the Premier League”. With Arsène Wenger currently reluctant to sell Giroud until he has signed another striker West Ham could be made to wait to make any contact with Giroud and his representatives. However French newspaper L’Equipe has reported that Wenger has told Giroud he is free to leave in his quest to find first team football. I’m really sad, annoyed and angry at the behaviour of the idiots that have forced the closure of your twitter account. I would like to say how much I’ve enjoyed your insight and the measured way you have conducted yourself – never less than 100% Irons fan. I’ve always thought that we are not far short of being a very good side – the magic ingredient might just be confidence. I hope to follow you on the website. Best wishes. I would like to add my support to ex tweeter account. This information is good reading and I think it is extremely disappointing that EX has decided to remove his tweeter account. I hope he returns soon.